The Bahia is an ovoid bath that emerges from a cuboid block, designed to be placed against a wall or in the corner of a room. It has a capacity of 384 litres and is available in white or bi-coloured Cristalplant. With prices ranging from a few hundred pounds to five figures, there’s no shortage of options when it comes to choosing a bathtub. The days of avocado-coloured suites are long behind us, and, with advances in materials technology, there’s a somewhat bewildering array of choice: from acrylic to cast iron, stone to timber. What separates them is price, aesthetics, heat insulation (how well the material keeps your bathwater warm) and weight. What are bathtubs made from? 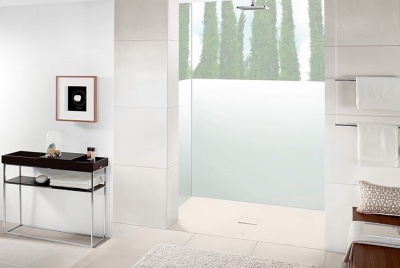 At the lowest end of the market are the thinnest acrylic bathtubs, which are easy to maintain and do retain heat well, but lack the sturdiness and aesthetic appeal of more expensive materials. Porcelain enamelled steel baths, generally referred to as steel baths, are only slightly more expensive but are often more robust. 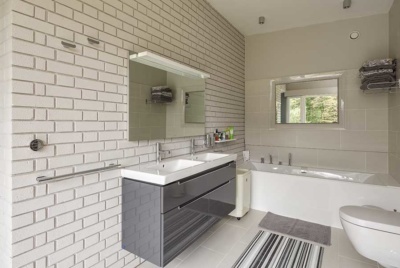 As you move into the territory of cast iron, composite stone (such as Hi-Macs) and the thicker, fibreglass-reinforced acrylic bathtubs, prices will quickly increase but so will the aesthetic appeal and ‘wow’ factor. What type of bathtub is right for me? Choosing between a built-in (also known as inset) and a freestanding bathtub will often be determined by the shape and size of your bathroom. For those operating in smaller spaces, it’s likely you will choose a built-in bathtub, which will sit flush against the wall. These bathtubs can then be fitted with a side panel and end panels, or a water-resistant ‘backer board’ can be used and then tiled. The Harbour bathtub from Bathstore’s Easy Bathing range features an anti-slip base and a watertight full-height door, while the Harbour Plus also adds additional safety features, including a visual lock system and an integrated bath filler. 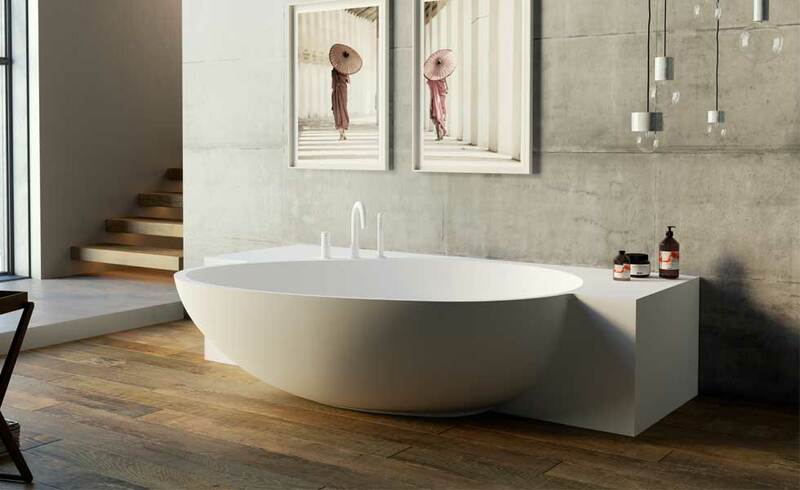 Freestanding bathtubs are generally left exposed on all sides, with the tub itself being used as a design statement. These can be effective in all types of rooms — whether that’s a copper bathtub in a period-style family bathroom, or a stone oval bath in a modernist mastersuite. a compatible bath waste with overflow. It’s available at Victoria Plum. Other options include corner and sunken tubs, the latter usually more difficult to accommodate in remodels but easily achieved in new builds where the tub can be factored in from the initial drawings. What do I need to know before buying a bathtub? You’ll most likely have to buy your tap separately from your bathtub, though your choice of the latter will guide your decision for the former. You’ll need to check the position of and how many, if any, holes are drilled into the tub: just one will mean that you’ll need a monobloc mixer tap, whereas none (common on freestanding and metal tubs) give the opportunity for wall-mounted or freestanding taps. Think too about how you’ll use the bathtub when deciding on the right shape for your room. 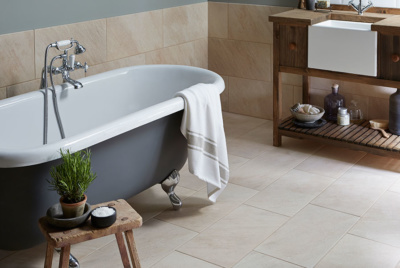 Baths come in all shapes and sizes, and though the standard size is 1,700mm x 700mm, there can be plenty of variation, including the compact 1,500mm x 500mm tubs (ideal for smaller rooms, but less so for taller people). Don’t be afraid to sit in a bathtub before you part with your cash.